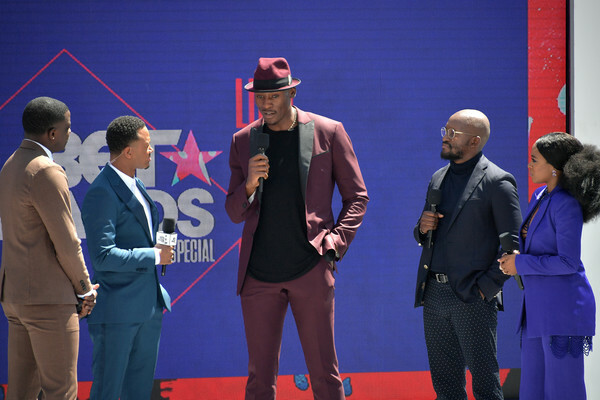 (L-R) James Shaw Jr., co-host Terrence J, honoree Bismack Biyombo, Zondwa Mandela, and Nomzamo Mbatha speak onstage at Live! Red! Ready! Pre-Show, sponsored by Nissan, at the 2018 BET Awards at Microsoft Theater on June 24, 2018 in Los Angeles, California.